Editor's note: In celebration of National Chicken Month, TravelPulse contributor Brandi Andres will be whipping around the country to find the best chicken dishes America has to offer. Today we’re taking a trip to Houston, circa 1946. It was a time when due to war efforts the Southern metropolis grew its oil companies into multimillion-dollar petrochemical producers, and the influx of migrants helped expand the rural city into suburbs. It was also when a couple by the name of Louis and Nell Skrehot took a house on Crosstimbers Road in the Northern part of Houston and flipped it into a family-owned restaurant called the Barbecue Inn. 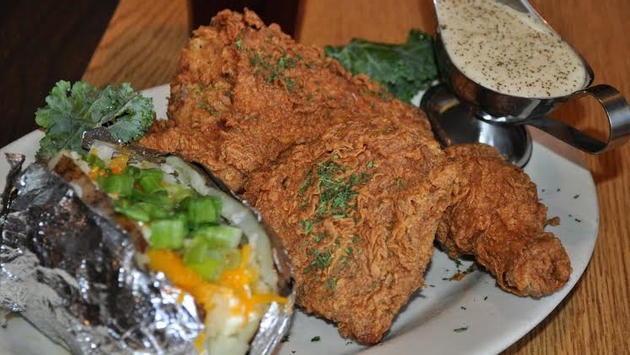 Famous for its fried chicken, this dining establishment has remained in the family for nearly 70 years and is now run by Louis and Nell’s son, Wayne, and his son, David. Cooked to order, the yardbirds take about 25 minutes to make. But the wait, as many through the years have said, is absolutely worth it. The establishment’s long-time cooks—some have worked here for more than 35 years—prepare the Southern-fried delicacy the way it should be, using a single-dip technique for a perfectly crunchy, reddish-golden shell that when broken reveals the tender, juicy meat inside. Even Southern food guru John T. Edge, also the founder of Southern Foodways Alliance, has praised the meal for its ascetic, low-grease qualities. Sounds like a dish we simply couldn’t pass up.